Agnes Water Library hosts Birthday Celebration! 13 Nov Agnes Water Library hosts Birthday Celebration! 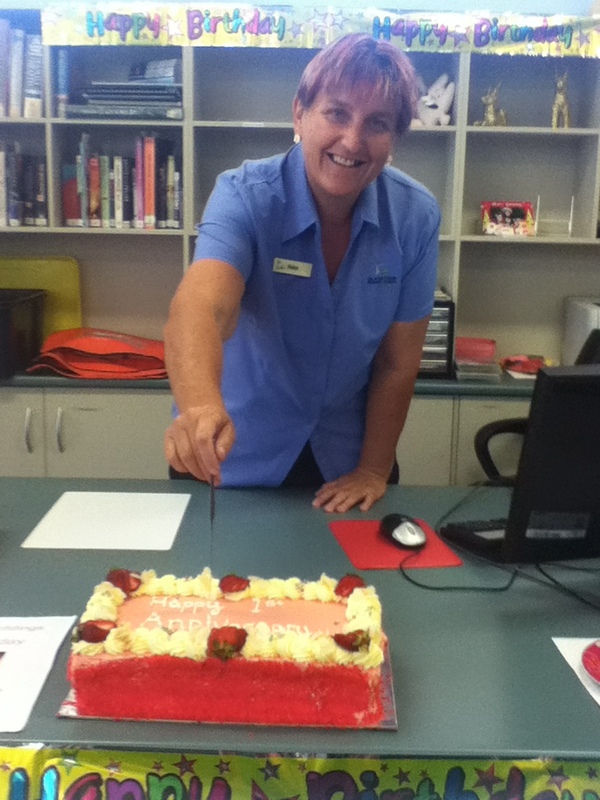 The Agnes Water Library celebrated service celebrated its Birthday at the weekend. Gladstone Region Mayor, Matt Burnett said the library at Agnes Water plays an important role in the community. Activities included a special First 5 Forever Story-Time session with Bettina Nissen and party games and cake for everyone. “Aside from all our items available for loan, the library is a meeting place for community members and visitors,” Cr Burnett said. “The library provides programs for both adults and children, computers for public access, free WiFi and much more,” he added. Cr Burnett said that the library had seen multiple changes over the past few years with the addition of a rear deck area for people to sit, more desks for people to use their own computers and the addition of a coffee machine for use by the public. “There are future plans to provide another outdoor sitting and activity area and to introduce other programs for the community,” Cr Burnett said. The library previously operated from a Captain Cook Drive. In 2011 the Agnes Water Community Centre Complex opened in 2011 to provide Rural Transaction Centre services, library and visitor information service.